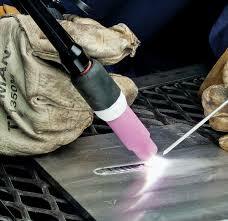 The thermal arc 186 is a stick/Lift TIG welding system. This welding system has steadily been increasing in popularity over the years, due to a variety of advantages that it has, which shall be revealed in this review. Its main advantage lies in its superior arc starting and control when stick welding. .It allows for the welding enthusiast to learn and perfect their skills, as it is easy to use and also highly functional. 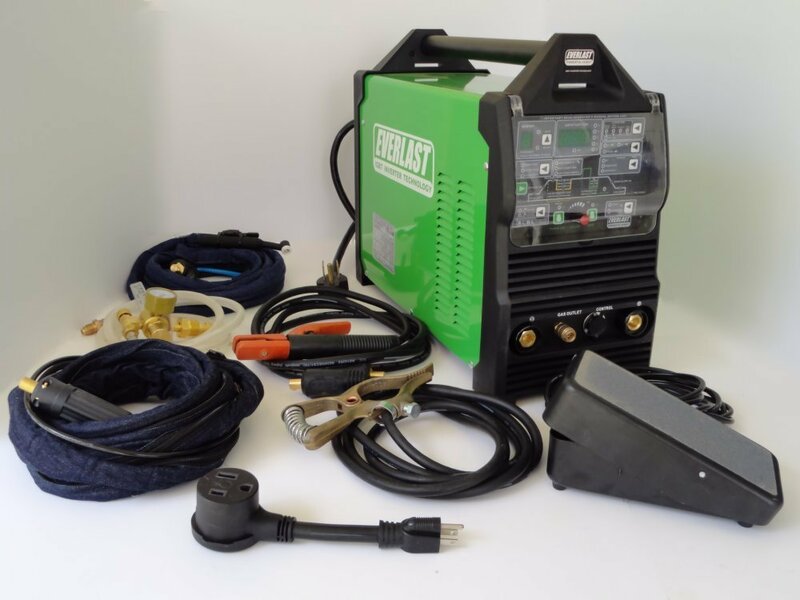 It is available in various models including the Thermal Arc W1006303 186 AC/DC Portable HF TIG System with Foot Pedal and the Thermal Arc 186 AC/DC TIG Welder System w/ fingertip control by firepower. Before you make the decision to purchase this welding system, take a moment to go over the pros and cons as detailed below. It has the dual capability of stick and TIG processes. This means that it is versatile and, therefore, can deliver greater value. Is used for light industrial applications and is also excellent for the advanced welding hobbyist. It has a good amount of power, and not too much that the novice user is likely to harm themselves if they do not have the correct knowledge. 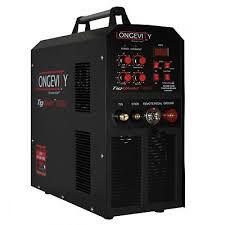 It is able to deliver 100 amps on 115 volt circuits for both stick and TIG welding. This means that it can easily be pluggedinto a standard socket. 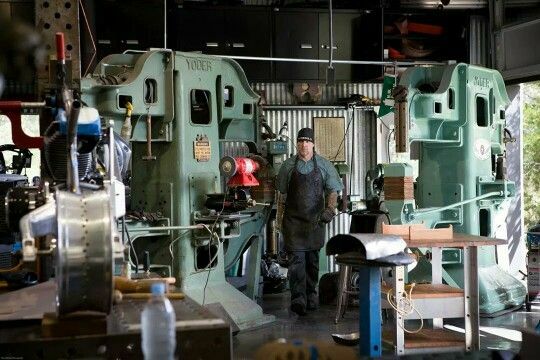 It features a foot pedal that allows for greater control when one welder is in use. It also allows for better flexibility when working. Is easy to use for a beginner, but it also has professional performance capabilities. It can work effectively even when it is kept going for hours at a time. This is an extremely popular product, so it is often out of stock. One needs to order and wait for it to become available. This occasionally affects the price. Sometimes you have to reset and start the machine when you strike an arc with the TIG torch in HF mode. This is due to some minor issues that may arise with the motherboard over time. The thermal arc 186 us versatile and can be used with aluminum fabricators, automotives, maintenance and repair, boats and so much more. The thermal arc 186 is multiprocess, making it ready for any application. It also has a high output duty cycle on whatever setting it is on. Functionality is brilliant as this comes with an array of accessories that are designed to cover all the necessary bases when welding. Some models have digital meters and previews and hold capability is making them easier to set up. The work clamp is not as heavy duty as the rest of the machine. This means that it is likely to wear out faster, or need replacement earlier. There is no welding capability on 110v. This machine has a noisy fan that runs in the background all time that can be exceptionally annoying. The torch may feel bulky and cumbersome and is not ergonomic. Customers love this welder because it is easy to use and easy to adjust. It has also been referred to as an extra smooth welder that arrives with everything that you need inside the box. Once one practices for a little while, they become proficient and feel as though they have been using it for years. This is also a product with plenty of features for production, and it has a portable push button for ease of changing from AC to DC. The Thermal Arc 186 welder is a great purchase if you need a welder that you can quickly use, especially for emergencies in the home, or where light industrial application is required. It is conveniently packed with all the required accessories and parts, making it easy to quickly assembly when need be. It’s dual capability means that it can easily be applied to a myriad of situations. All in all, it is an excellent buy that will meet expectations.